Only someone like Logan Sama could put a project of this variety and excellence together. Last year, the long-serving grime DJ released his entry into the FabricLive series, featuring 23 original instrumentals with a wide ranging mix of MCs spitting over them. Now, he’s back with another incredible compilation project, this one in collaboration with Trapstar. 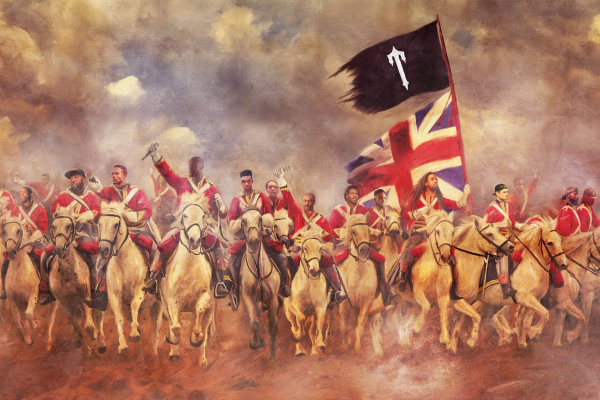 For the Trapstar x Logan Sama Mixtape, he asked MCs both old and new, legends and up-and-comers, to spit over classic instrumentals—the music that they grew up listening to, the beats that are part of the foundation of grime. If you’re familiar with the genre, you’ll recognize productions from Ruff Sqwad, Treble Clef, Wiley, Dizzee, Macabre Unit, Skepta, and more, and if not, it’ll be a perfect education. The MCs featured on the project include legends like Kano, Ghetts, Newham Generals, Roll Deep, OGz, and Wretch 32, and the new school leaders we’ve been trying to put you onto, including Stormzy, Section Boyz, AJ Tracey, Jammz, Bonkaz, and Novelist. Get into the project below—according to Logan there’s a download coming soon, so look out for that too because you need this in your collection.